While looking at the rise of cyber crime not only US and UK also Iran is preparing a strong cyber defense. According to the Iran's Press TV report - During the recent years cyber security has been high on the agenda in Iran. Tehran says that the reason for its special attention towards the issue is due to the growing number of attacks on Iran’s cyber space by US and Israel. That’s why the first national conference on cyber security kicked off in Iran’s interior ministry. The event which hosted high ranking executive and defense officials and experts, aimed at discussing ways to further strengthen the Iranian cyber space against any attacks. Less than four months ago Iran launched a cyber defense headquarters with the help of its defense and communications ministries. The office categorizes Iran’s national assets to three parts including physical, human and cyber assets. The headquarters says that its responsibility is to protect the three categories with special emphasis on the country’s cyber assets. Experts say that lack of enough security in a country’s cyber space is like sleeping in a house without locking the door. In 2009 some of Iran’s Uranium enrichment facilities were targeted by a computer worm called Stuxnet. Blaming the US and Israel, Iran managed to neutralize the cyber attack. In 2011 Iran’s nuclear program comes under another cyber threat with ‘Duqu'. Also hacker collective group Anonymous targeted Iran while performing massive DDoS attack on the 1st may last year. 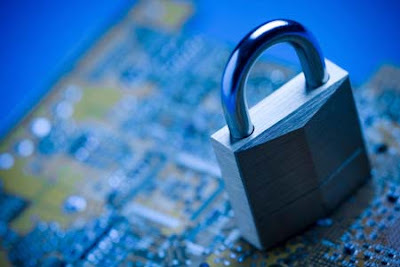 The main task of cyber defense is to prevent computer worms or as some call it cyber weapons from breaking into or stealing data from the countries maximum security networks. These areas include nuclear facilities, power plants, data centers and banks. Iran has also established its own laws and definitions of cyber crime. Today there are several laws in dealing with the issue and a special branch of the police force is dedicated to patrolling Iran’s cyber space.